The PTA would like to extend thanks and a warm welcome to parent volunteers who have stepped up to take on new positions this year. Congratulations to Carin Barbanel on being elected Recording Secretary of the HCHS PTA Board at the Sept 18 PTA meeting. We also have two new Assistant Recording Secretaries, Swati Saha and Virginia Terry; two new Assistant IT Managers, Vadim Kagan and Lewis Liu; and a new Assistant Events Chair, Mary Czajkowski. Virginia Chang is our new Sports Committee Chair, and we have two new Community Service chairs: Rachel Barany and Lewis Liu. 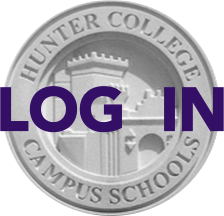 Finally, we're grateful to all our new Class and Grade Reps for all they do to keep Hunter parents informed and involved. All our PTA Grade and Class reps are listed here. If you're interested in volunteering, there are many ways you can help the PTA, both large and small. Email volunteer@hunterpta.org.